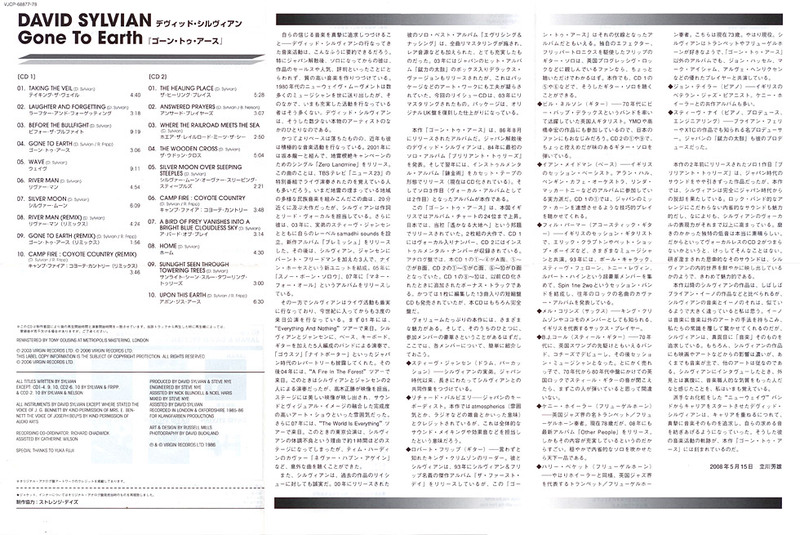 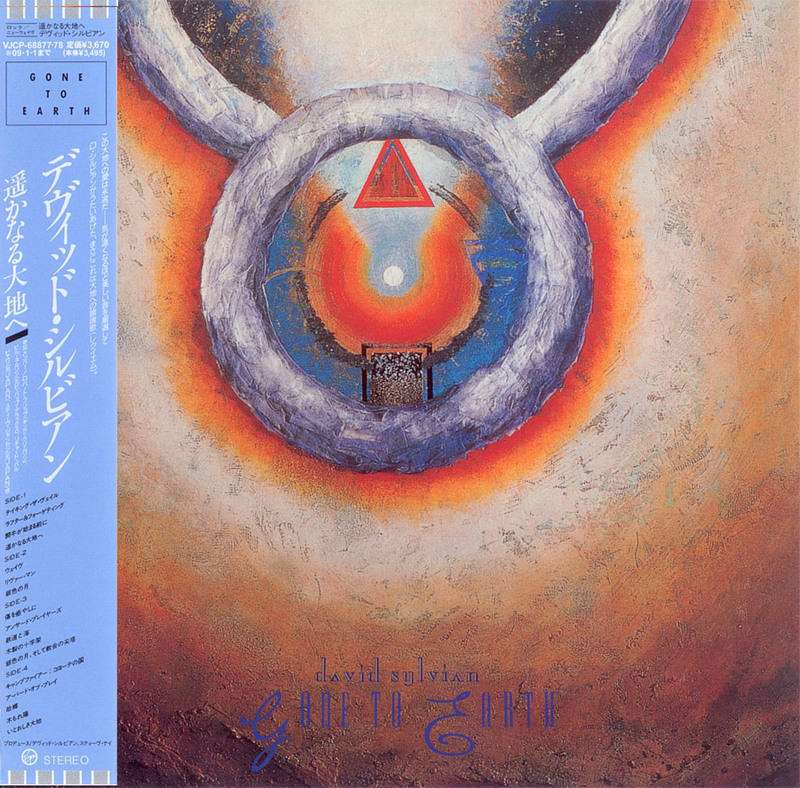 Japanese 2008 Paper Sleeve ‘Mini-LP’ remastered CD. 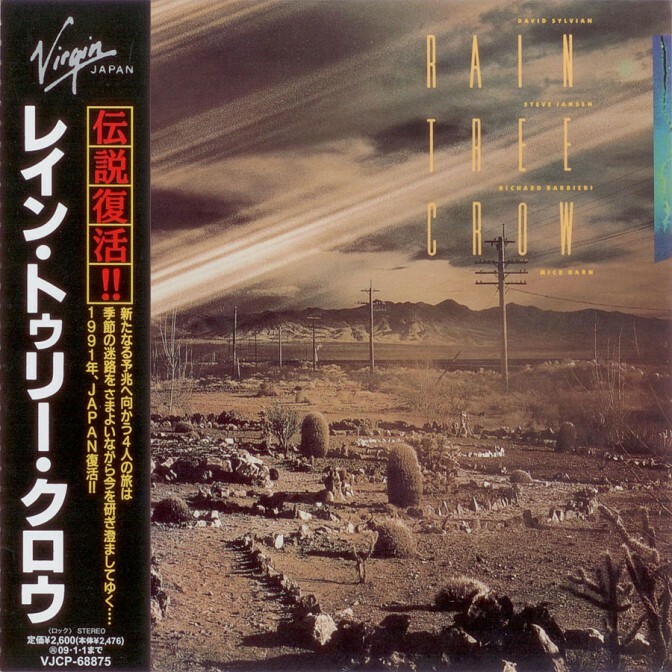 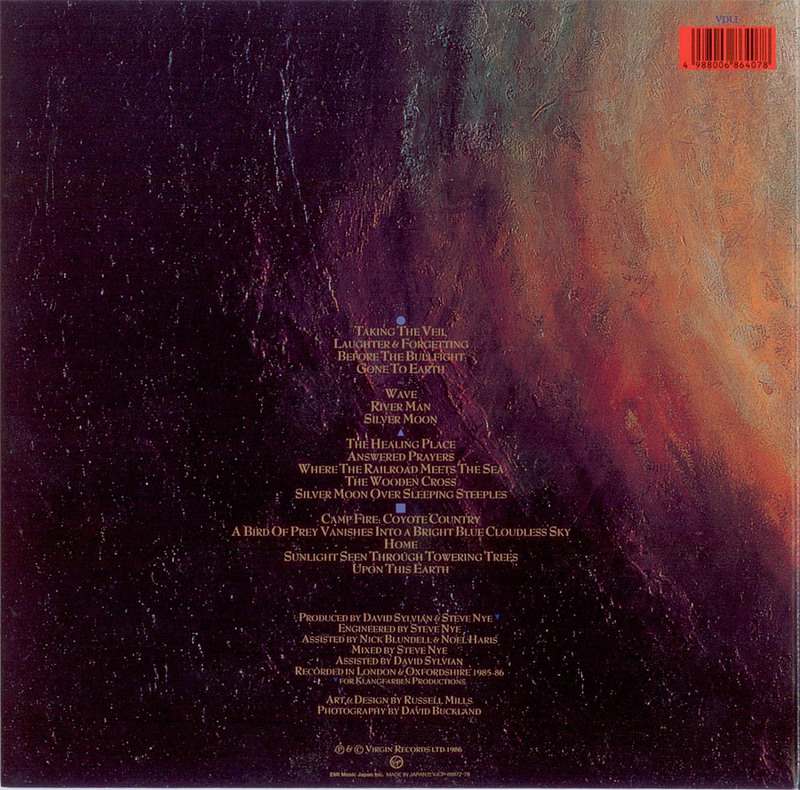 It is a ‘mirror’ of the original 1986 LP using the same artwork. 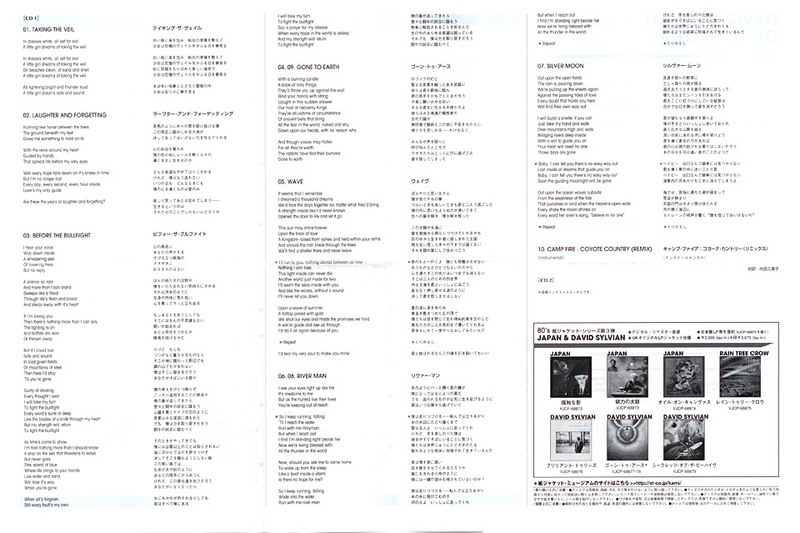 However, whilst the back of the Mini-LP Sleeve has the previous 1986 tracks listed, the actual CDs include the remixed versions from 2003: VJCP-68608~9. 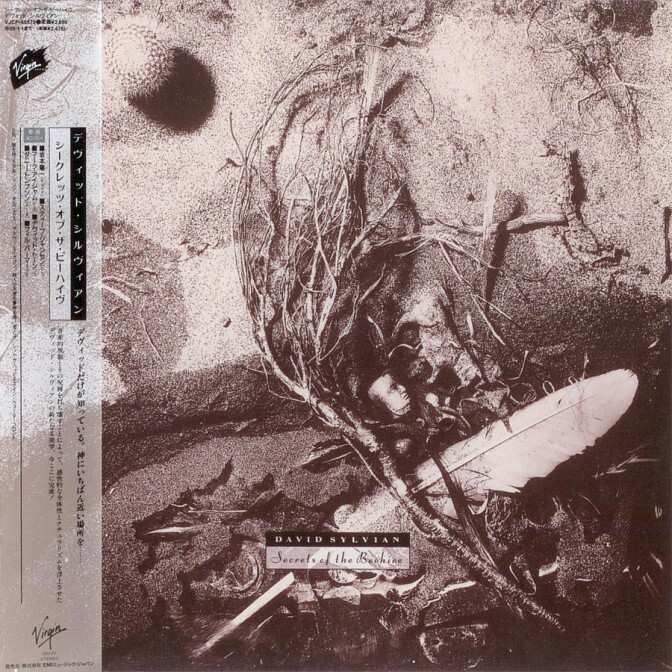 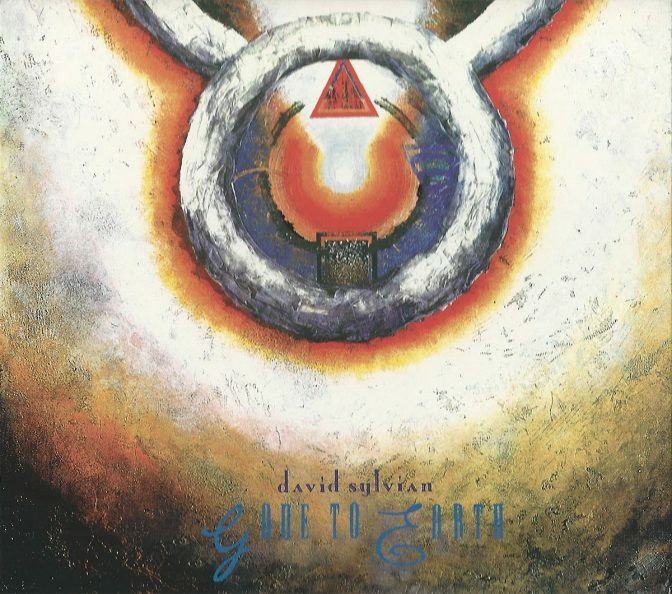 Riverman (Remix) – Remixed by David Sylvian and Richard Moakes. 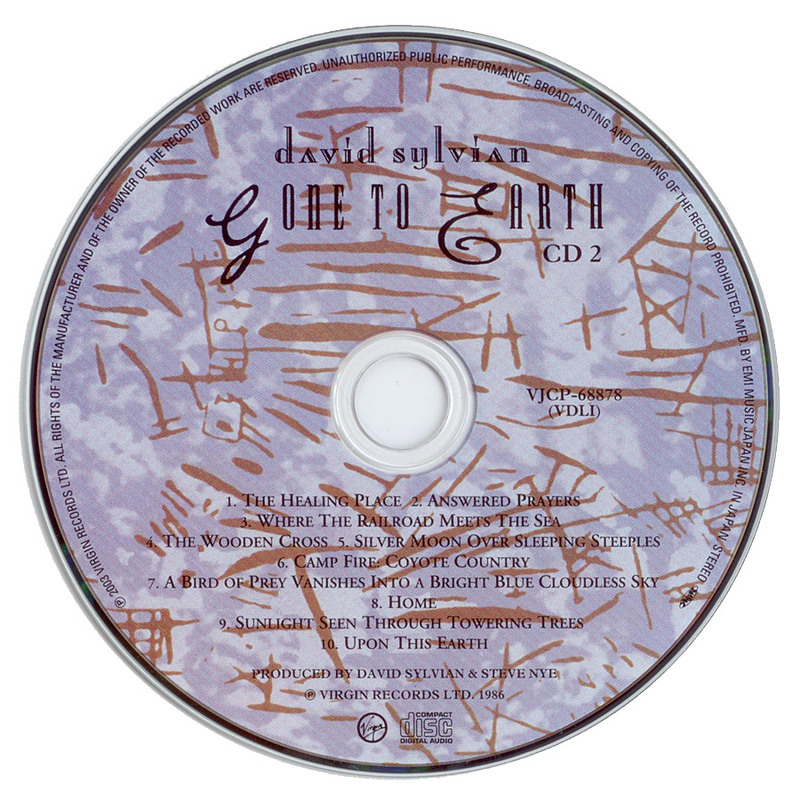 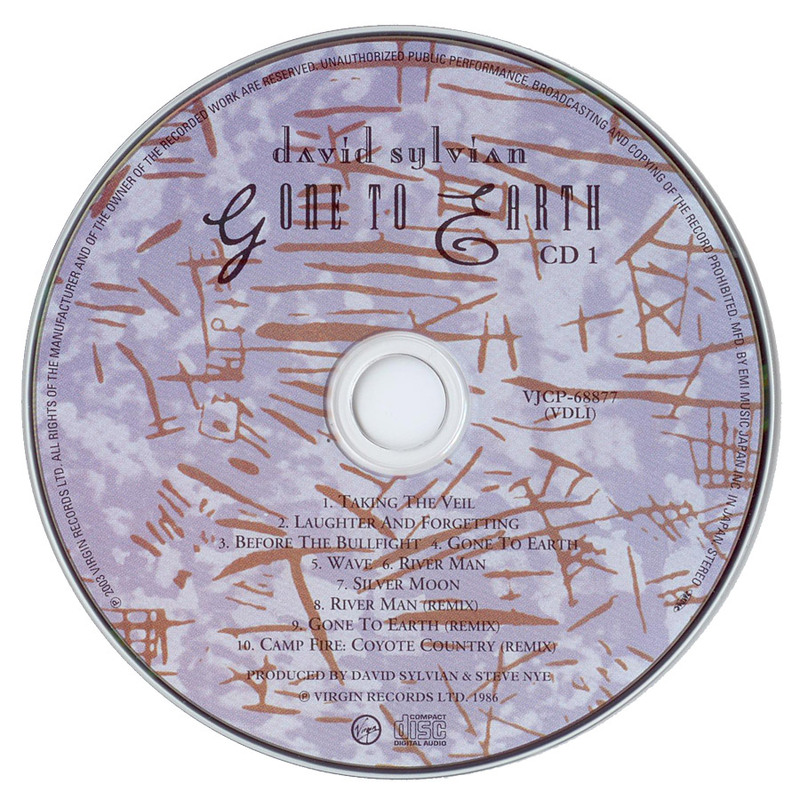 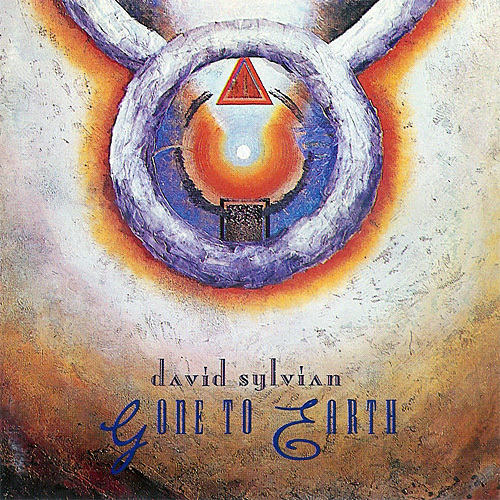 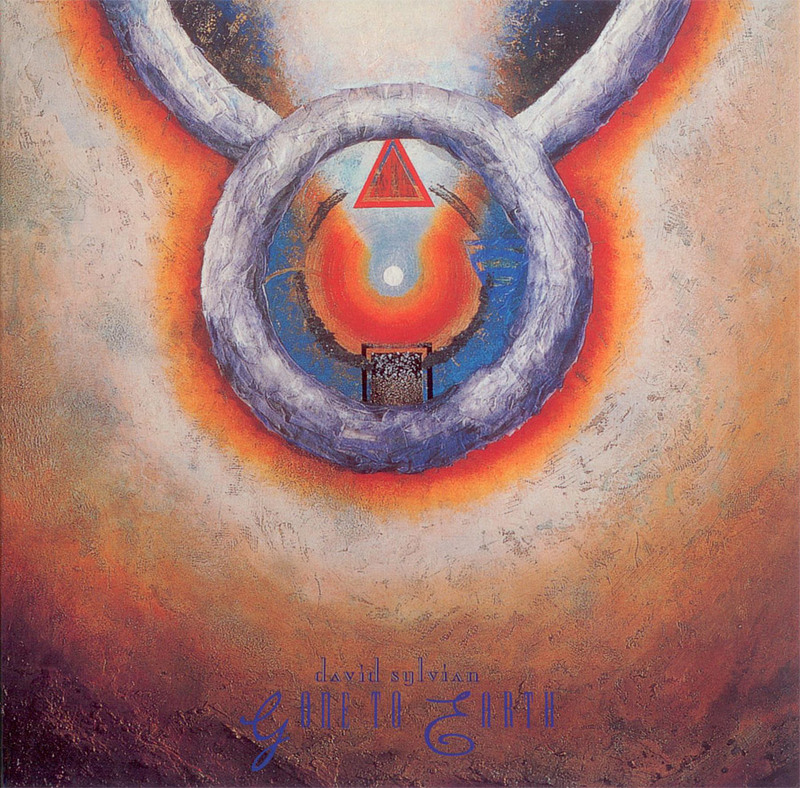 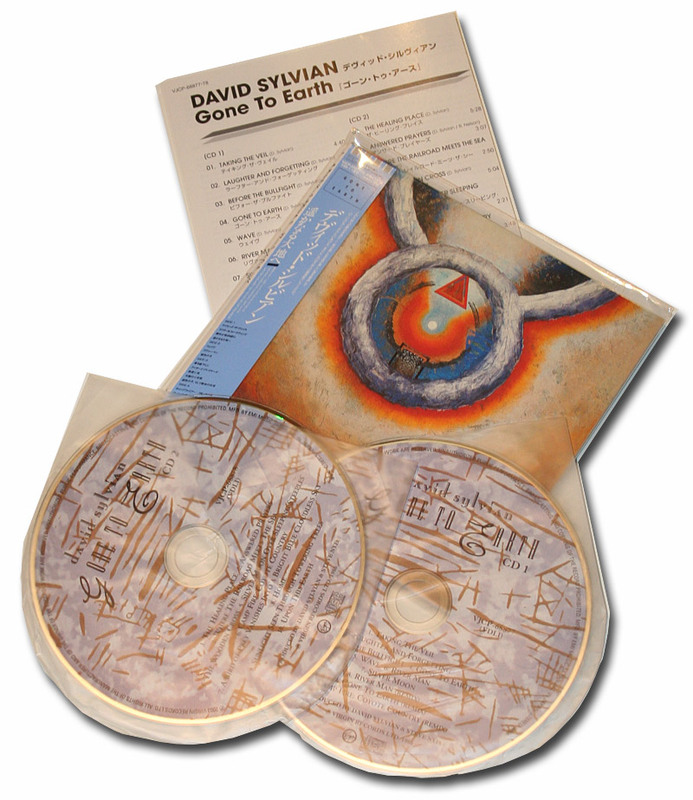 Gone To Earth (Remix) – Remixed by David Sylvian and Richard Moakes. 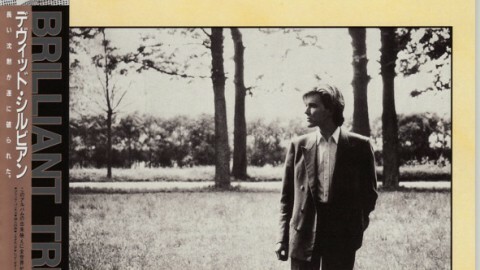 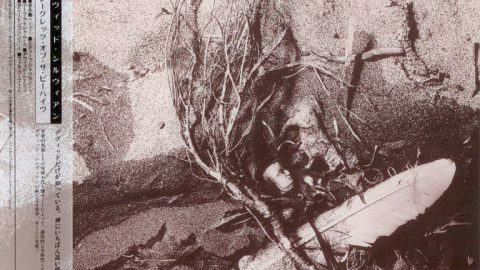 Camp Fire: Coyote Country (Remix) – Remixed by David Sylvian and Richard Moakes. 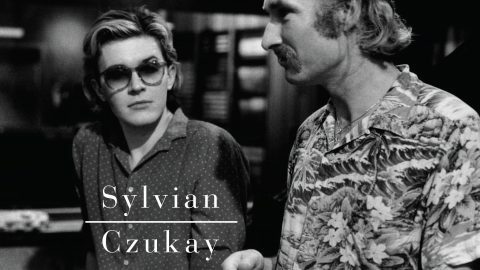 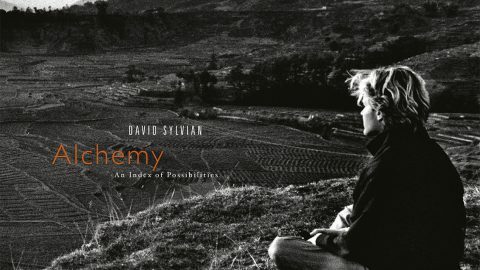 Produced by D. Sylvian and Steve Nye. 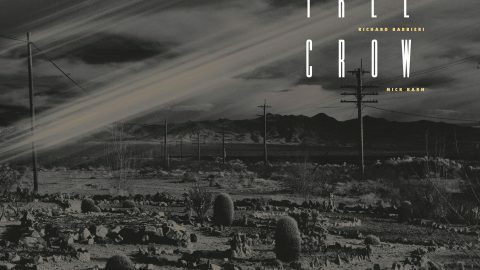 Engineered by Steve Nye assisted by Nick Blundell and Noel Haris. 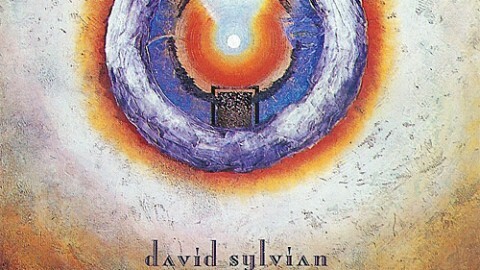 Mixed by Steve Nye. 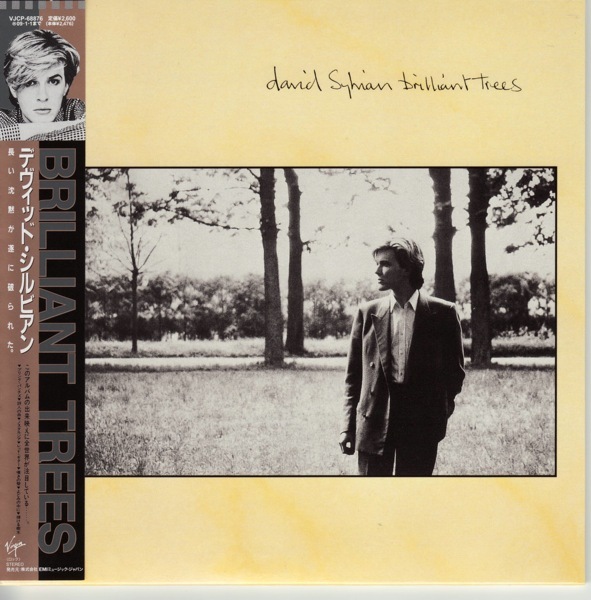 Assisted by David Sylvian. 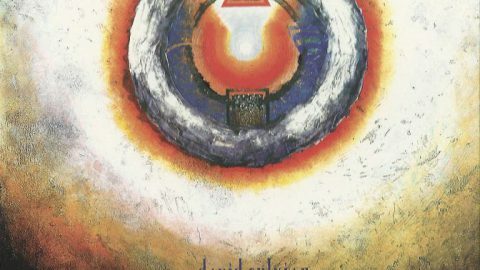 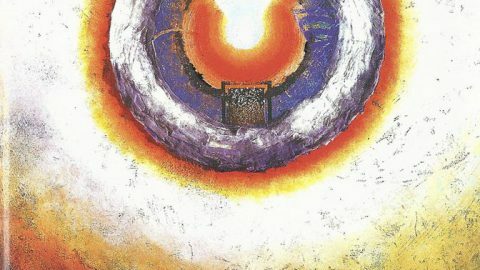 Recorded in London & Oxfordshire 1985-1986 for Klangfarben Productions. 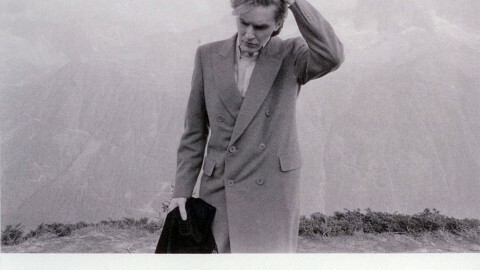 Recording coordinator: Richard Chadwick assisted by Catherine Wilson. 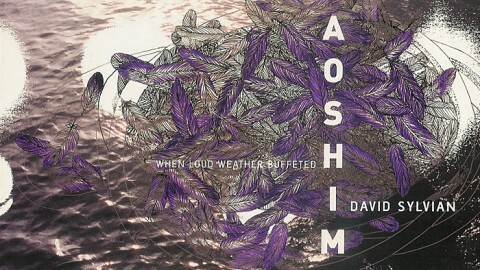 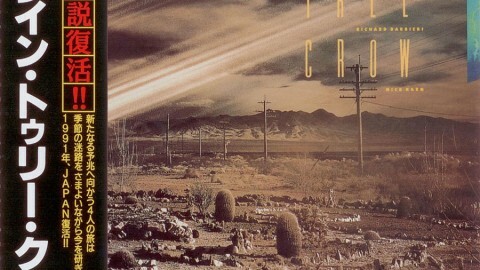 Cover art by Russell Mills. 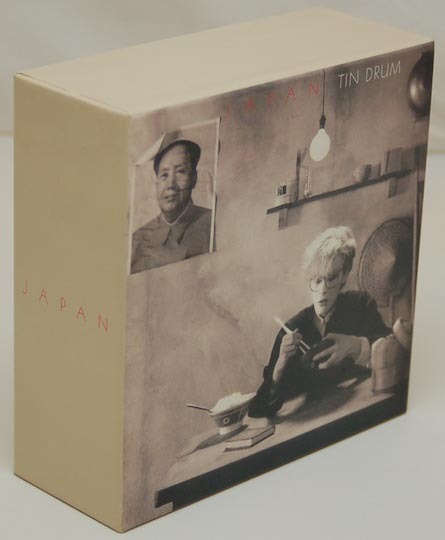 This box (also distributed in Japan as promotional issue) contained Japan’s Gentleman Take Polaroids, Tin Drum and Oil On Canvas. 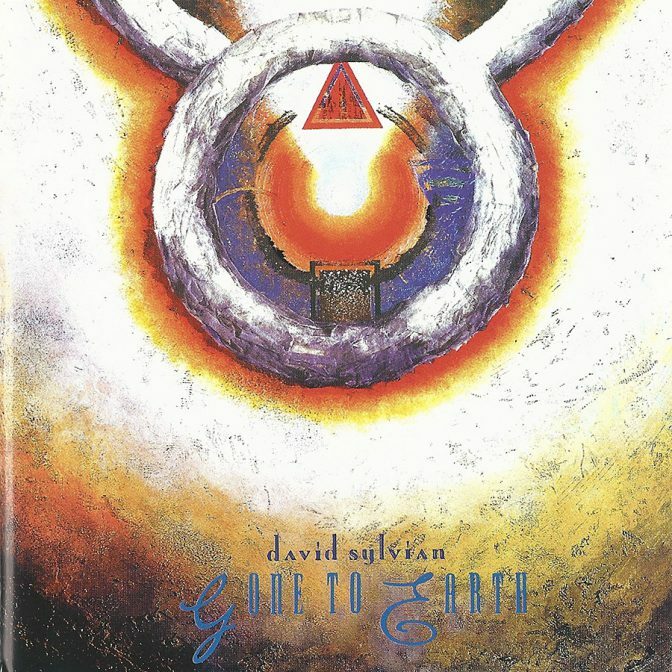 Included was also Rain Tree Crow, Brilliant Trees and Secrets Of The Beehive. 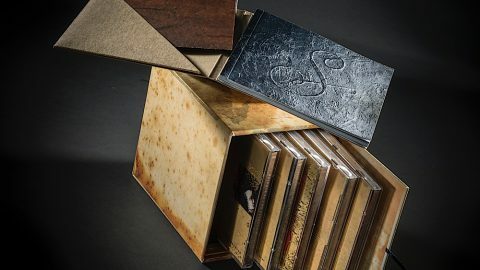 A must have for collectors.